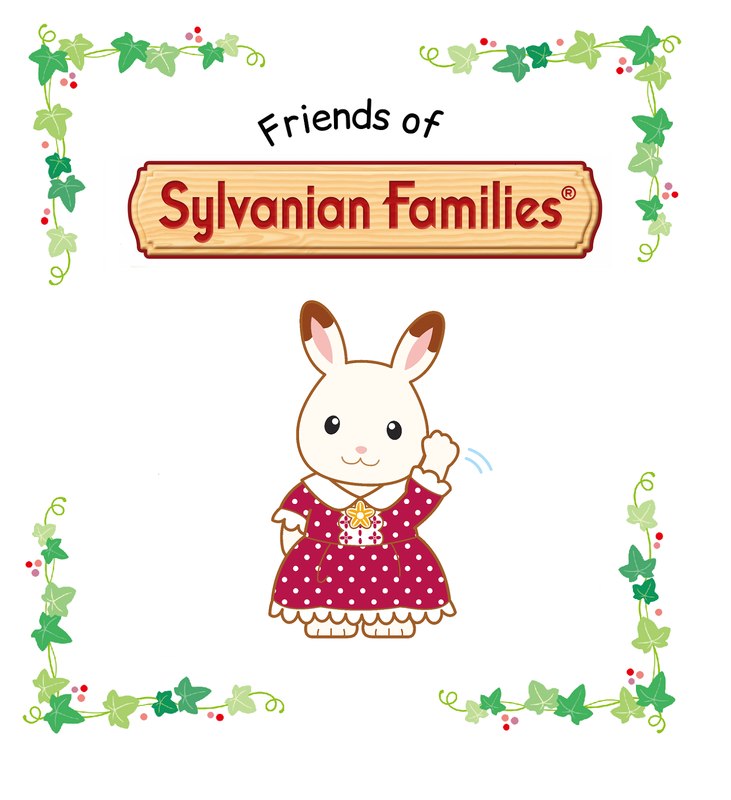 I started making these a few months ago but decided to hold off on posting about anything Christmassy until now! These are great for making with the kids, Rosie loves to do it. 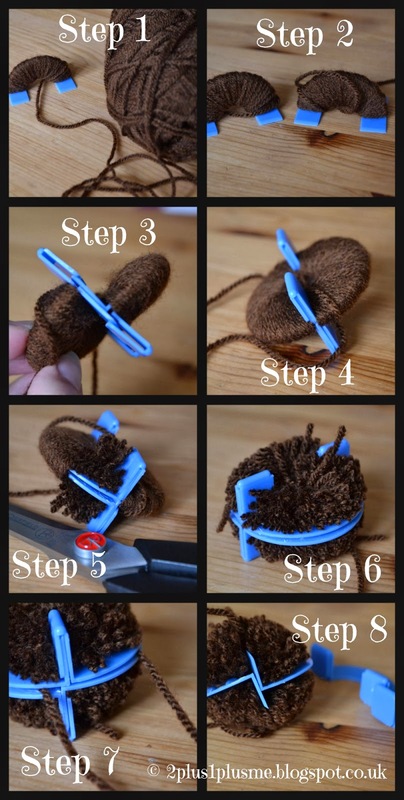 She was given a knitting and needlecraft kit for her birthday which included a plastic pom-pom maker (new to me!) 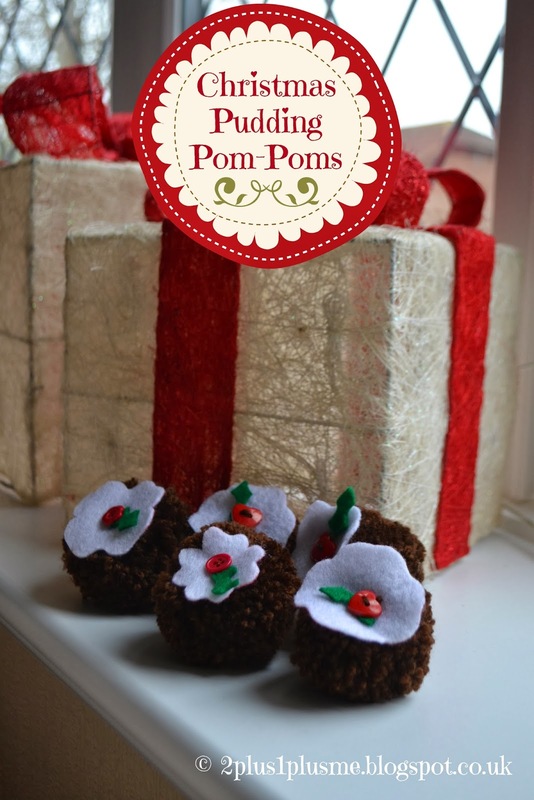 but you can use the 'traditional' methods of pom pom making - a cereal box! And then the best bit - embellish! I love LOVE these!! 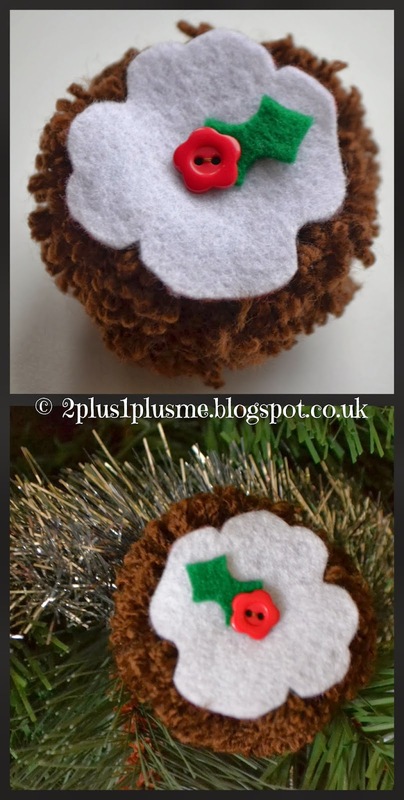 Super cute :D Pinning right now to my Crafty Christmas board now, thank you so much for sharing!